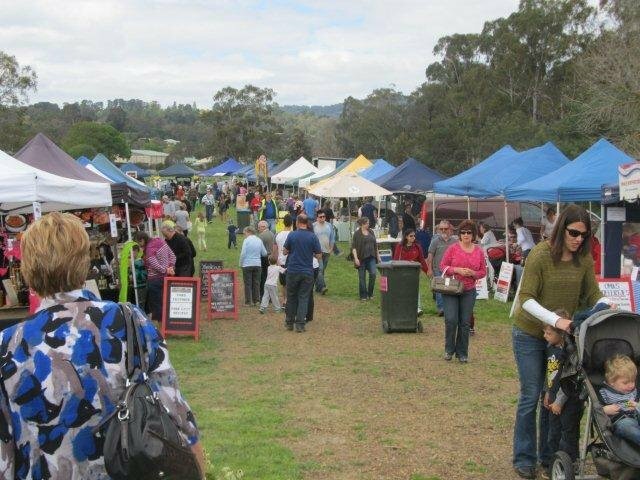 Lilydale is located at the head of the beautiful Yarra Valley, approximately 41 klm East of Melbourne, near the end of the Dandenong Ranges in Victoria. 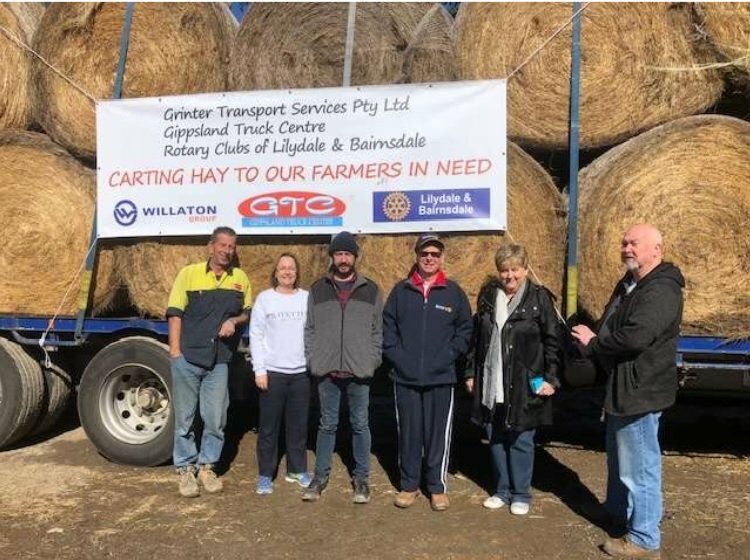 The Rotary Club of Lilydale has a rich history of “Service Above Self”, with our 50th Birthday celebrated in 2015, and we are very proud of our record of service to the Lilydale and surrounding communities. Any member would be proud to inform you of the projects and services that we have provided over the years. A history book covering the 50 Years was published to celebrate this milestone. 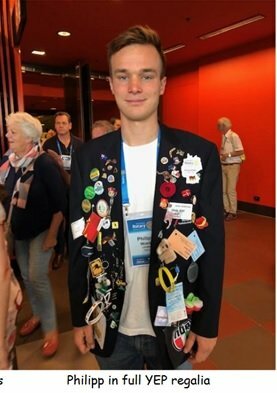 Club membership is a mix of men and women from a range of backgrounds of all ages, who enjoy the friendships and Fellowship that our Club is known for. 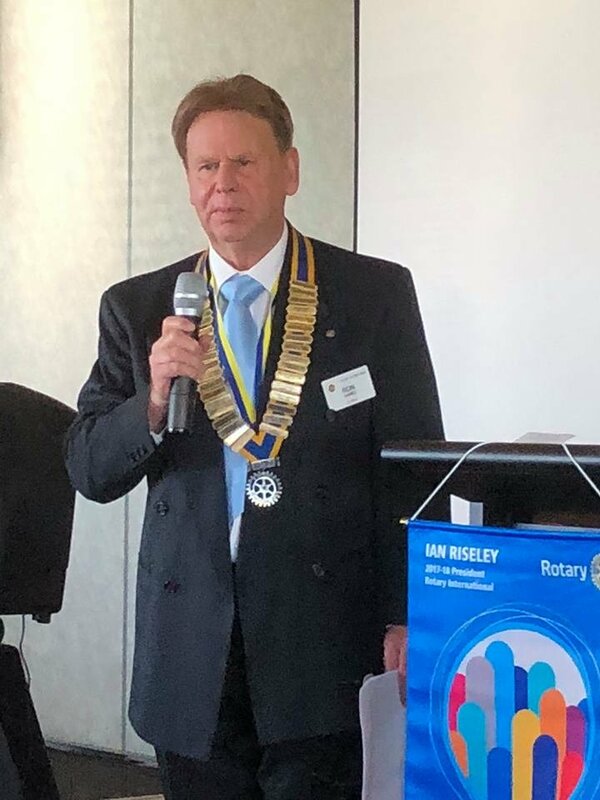 Currently the Club has 40 members and around 15 Friends of Rotary [former members and associated family connections]. 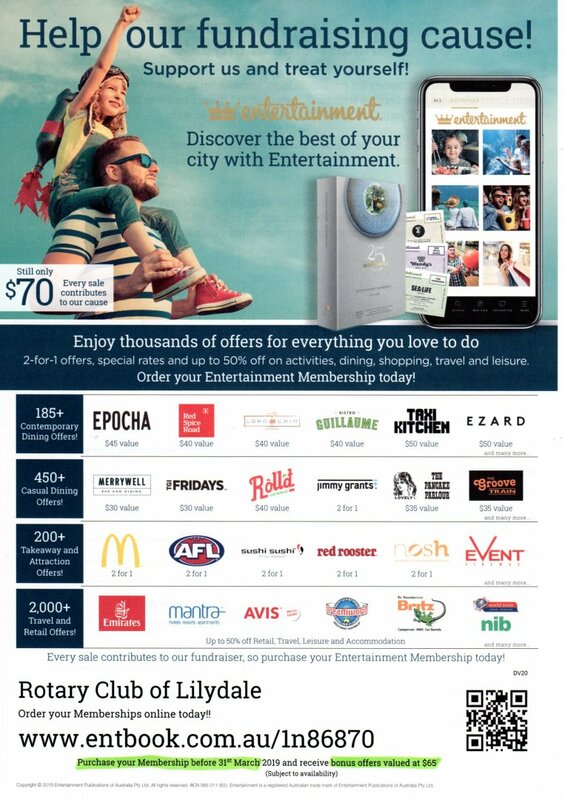 Please browse our web site, and if you are interested in more information or visiting a Club meeting, please contact our Secretary on 0423 55 88 33. 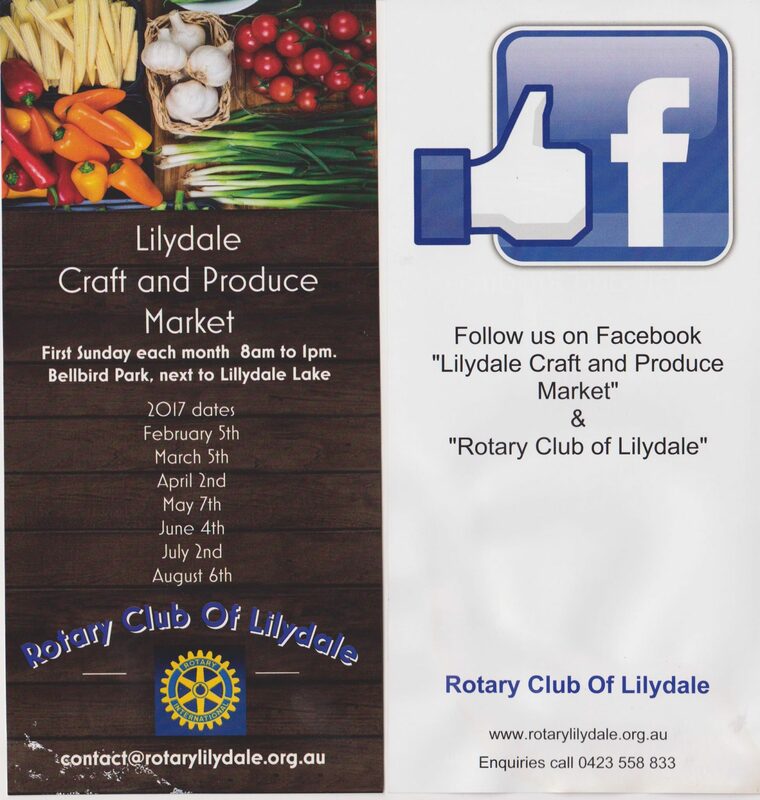 Our signature fund raising event, is the monthly Rotary Lilydale Craft & Produce Market [formerly Lilydale Farmers Produce Market], held on the first Sunday of the month at Bellbird Park [adjacent to Lillydale Lake] on Swansea Road Lilydale. 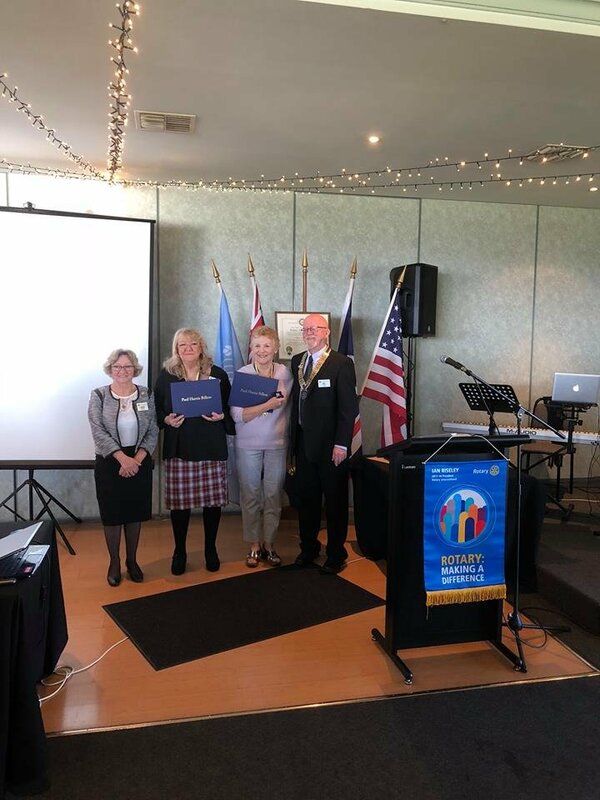 Since beginning in March 2009, previously as a joint exercise with other local Rotary Clubs, approximately $140,000.00 has been distributed back to the Clubs from market proceeds, for use in their Rotary Projects. 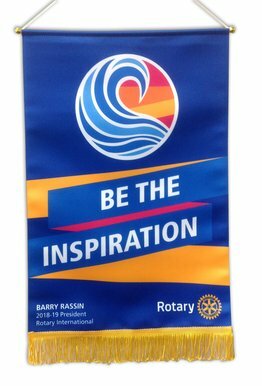 Why don't you come and Engage Rotary and Change Lives? It might just be your life that will change.